Bake 30 to 35 minutes or until toothpick inserted in centre of cake comes out clean. Cool completely in pan, about 1 hour. In large bowl, beat cream cheese and softened butter with electric mixer on medium speed 1 to 2 minutes, scraping bowl occasionally, until smooth and creamy. Beat in vanilla and icing sugar until combined. 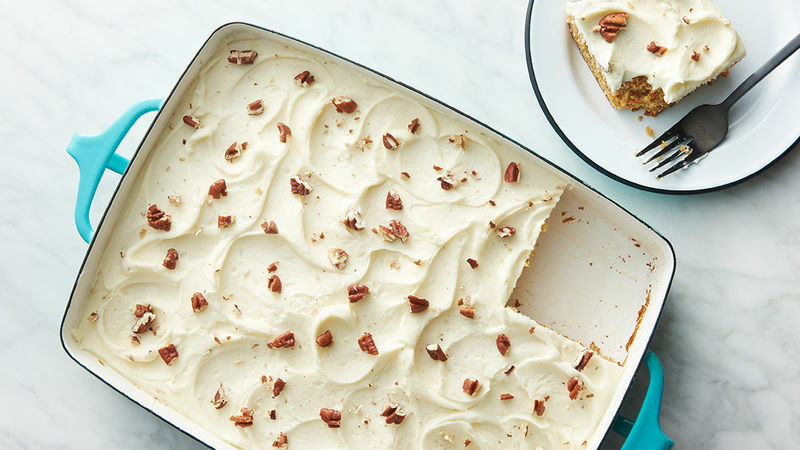 Swap homemade cream cheese frosting for Betty Crocker™ Whipped cream cheese frosting, if desired.